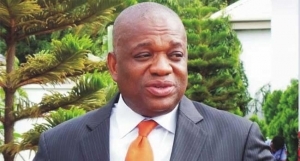 A former Governor of Abia state, Dr. Orji Uzor Kalu, has berated state Governors on arbitrary expenses incurred on purchasing exotic cars. He urged them to rather use such funds to provide social infrastructure for state citizens. The former Governor, stated this in Okwu community in Ikeduru local government area of Imo state, when he attended the commissioning thanksgiving service of a newly built Catholic church in the area. According to him, as the Governor of Abia state for eight years, he never used bullet proof cars because he believed there was no reason for that. “As the Governor of Abia state, I never used bullet proof cars. Even up till now, I am not using bullet proof cars. I made use of buses as Governor and I am still using buses up till now. “I don’t believe anybody can kill me except God. Instead of spending huge money in buying expensive bullet proof cars, Governors should use the money to provide electricity and other basic social amenities for their people”. The former Governor of Imo State, Chief Ikedi Ohakim, also present, called on all Nigerians irrespective of their party, ethnic or religious affiliation, to support the President Buhari-led government, stating that if the President fails, then the whole Nigerians have failed. Also, the Catholic Archbishop of Owerri Catholic archdiocese, Anthony Obinna, expressed concern over the killing of Christians in southern Kaduna, stating that it is a war orchestrated to wipe out Christians in the country. The clergyman then raised an alarm that if the crisis is not well managed, it can degenerate into a serious National challenges which would spread to every nook and cranny of the country. He then tasked the President to quickly ensure that those involved in the dastardly act are brought to face the full wrath of the law.